It begins with the briefing about Akbar & Birbal and their tales. After that it starts with how Akbar and Birbal met for the first time and their journey onwards. Akbar was not only the ruler, but he was a responsible ruler. Who knew that the “greater power comes with greater responsibility”. He was actually keen and devoted to discharge all his duties towards the citizens of his kingdom. Hence he developed a habit of visiting the people and places himself, to understand the real situations and problem the common man faced. He used to don different make-up and cloths to disguise himself into someone else, mostly the common man, so he could be part of a crowd. People could not differentiate him as the king and hence considered him as one of their village mate or common man from some different place. One night Akbar was on the same type of visit to a village, where he could not get anyone to open the door of their houses even after repeated knocking. A boy was sitting outside his home saw a jewel on his leg, thought something and came to a conclusion. He called this visitor in his hut which is not having even doors. He offered the visitor some food and water and discussed with him why others did not open the doors for the visitor? 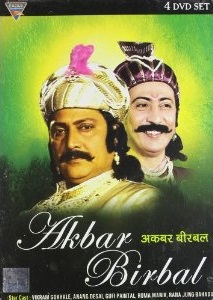 He told that: “The authorized people of the village (who are granted the power to maintain law and order) are corrupt and those who need to take care of people and save them from any kind of trouble by implementing the law and order are themselves looting people.” The boy also revealed that he knew that the visitor was Akbar himself. Akbar was impressed with the observation of the boy and asked him to prove all the claims he had made about respected and authorized people appointed by the king. The boy planned and implemented a trap to expose the people misusing the power and authority in front of Akbar. Akbar took them all in his custody immediately. Impressed by the wit of the boy, Akbar invited him to his court. He gave him his golden ring to show as the invitation to the doorkeeper so the boy “Mahesh Das” can prove that he was actually invited by the emperor himself and can enter the court without any hurdles.